Laurie Burkland Waller has been helping leaders and organizations grow, transform, and thrive for more than 20 years. An expert in leadership development, executive coaching, communications excellence, and team effectiveness, she is driven by a passion for partnering with leaders to optimize performance and realize potential. Laurie believes that leadership, like competitive figure skating, requires both technical merit and artistic impression; leaders must display excellence in what they do and superiority in how they do it. In other words, great leaders not only exhibit strong industry and functional content expertise, but also showcase the professional effectiveness to implement their visions successfully. Like skating champions, they deliver proficient content along with the fine-tuned artistry that inspires stakeholders. Strong leaders know that it is with and through others that work gets done, and demonstrate the agility to succeed in a variety of settings with a diversity of stakeholders. As a coach and advisor, Laurie works with her clients to promote growth on both fronts, technical proficiency and interpersonal mastery, focusing particular attention on developing leadership versatility and authenticity. 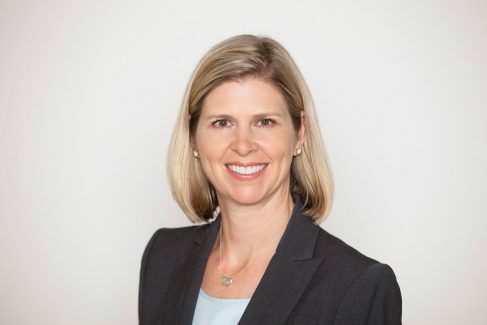 She began her career at Andersen Consulting (now Accenture) as a management consultant and engagement manager implementing large-scale and complex programs to improve business and human performance with cross-industry clients. As her career progressed with other consultancies, she continued serving clients at the partner-level, and earned firm leadership opportunities to launch organizational and talent management initiatives as a director. As a partner with Kenning Associates, Laurie collaborates with senior professionals to build self-awareness, team collaboration, customer impact, and rewarding, sustainable careers. Laurie understands the barriers to growth as well as how to navigate through them to achieve results. In a collaboration with her clients, she assesses individual, team, and organizational opportunities, then develops and implements an efficient and targeted change plan to transition clients from functional to optimal performance levels. Laurie holds an M.B.A. from the Kellogg School of Management at Northwestern University and a B.A. from Bucknell University. She is a certified Birkman® consultant, and Certified Professional Coach as recognized by the International Coach Federation. She lives in Atlanta with her husband and their two children, and enjoys volunteering as a coach for Girls on the Run, helping the next generation of leaders to develop competence, confidence, and character.